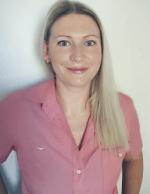 Kristina commenced her career in the finance industry in 2004 which is where she developed a keen interest for helping her clients meet their financial goals. Kristina’s holistic approach compliments her client centric focus and she utilises this method in all her client interactions. Kristina has achieved the Diploma of Financial Planning.